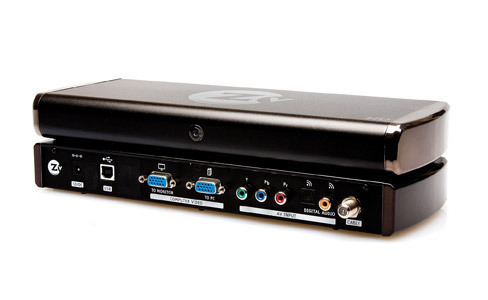 The ZvBox 150 has the same capabilities as the ZvBox 100 but it also adds the ability to plug in any component HD video source as well. You can combine many ZvBoxes to distribute many HD channels in your location, on the same simple coax cabling. 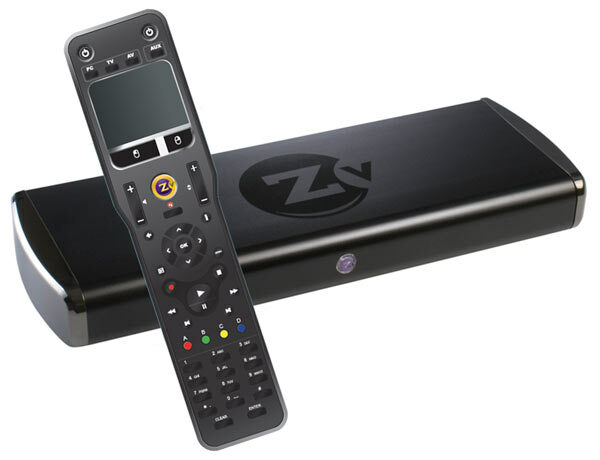 Once configured, the ZvBox 150, no computer or Internet connection required. A quick google search reveals that the ZvBox 150 is priced higher than the ZvBox 100, at around $1000. Depending on your situation these two products can be the answer all your HD cable distribution/modulation needs — definitely check these products out! Call me a Home Theater snob, but, I don't think a room with any size flat panel TV is a "Theater Room". There has to be at least a 100" screen (fixed or motorized) and a decent projector (I prefer the JVC RS2). Fully controlled lighting, motorized screen curtain, masking, tiered seating and sound treated walls. If the room doesn't consist of all of these, then it's just a media room. EPSON is heading in the right direction with the Ensemble HD system. It includes everything you need to get sound and projection into your "Theater Room" on a budget. 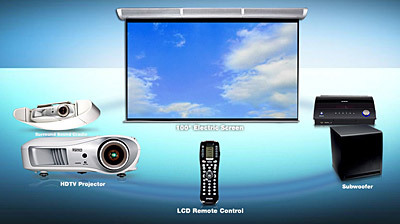 The system includes a 100" motorized screen with integrated speakers, projector (720p or 1080p) with ceiling mount that includes the rear speakers built into the mount. All the cables, a universal remote, subwoofer, and amplifier/receiver. EPSON designed the system so it can be installed in about 4 hours.